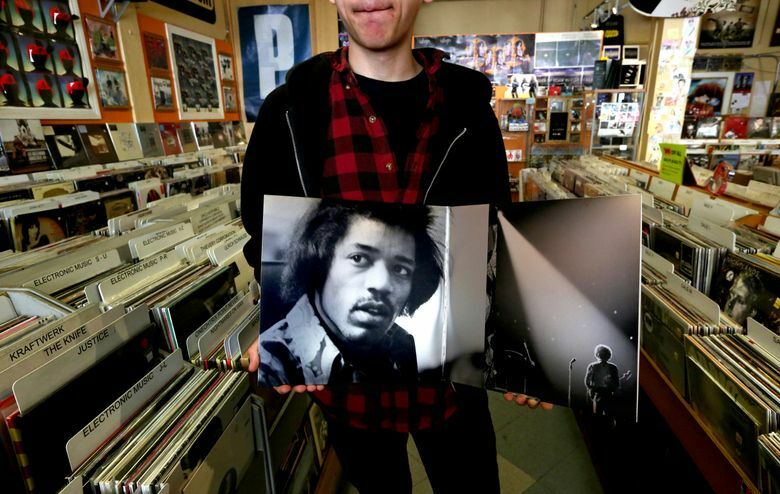 Music critic Paul de Barros lists swell places to pick up albums, just in time for Record Store Day on Saturday, April 18. OK, so there aren’t many left, but record stores do still exist and the eighth edition of Record Store Day — Saturday, April 18 — is here to remind you. In RSD’s honor, here is a list of 10 of Seattle’s best record stores, most of which are officially participating in Record Store Day. But even if they aren’t, they all have records (and CDs) — lots of them. Silver Platters: 2930 First Ave. S. (206-283-3472 or silverplatters.com). Silver Platters Sodo and its sister store in Northgate (9560 First Ave. N.E.) are the only local outlets that continue the chain-store legacy. With 12,700 square feet in Sodo, a knowledgeable staff and stock in all genres (first call for jazz and classical), Silver Platters will invariably stock any album we just reviewed. A third store is in Bellevue. Easy Street Records: 4559 California Ave. S.W. (206-938-3279 or easystreetonline.com). The plugged-in indie rock store of choice for many local hipsters — though West Seattle is a trek — Easy Street was named 2012 King County Small Business of the Year. It is staffed with friendly, knowledgeable folks for whom music is a religion, as it is for owner Matt Vaughan. Sonic Boom Records: 2209 N.W. Market St. (206-297-2666 or sonicboomrecords.com). When Seattle’s Fleet Foxes were unknown folk beards, they proudly left their first album here on consignment. Now 15 years old, this Ballard indie-rock counterpart to Easy Street offers a deep selection of new vinyl, a Top 20 bin featuring lots of locals and even a wall of cassettes. Everyday Music: 1520 10th Ave. (206-568-3321 or everydaymusic.com). Conveniently located across the street from Elliott Bay Book Co. on Capitol Hill, Everyday Music, with its plank flooring, street windows and record bins extending to the vanishing point, has a warehouse feel, though instead of a forklift’s backup beeps, EDM wafts through the air. One of three stores of a Portland-based outfit. Bop Street Records: 2220 N.W. Market St. (206-297-2232 or bopstreetrecords.com). Named in 2011 as one of the five best record stores in America by The Wall Street Journal, Bop Street is across the street from Sonic Boom. With a half-million units racked floor to ceiling, including 10,000 78s, Bop Street is strong on vintage jazz and rock, and its owner of 36 years, Dave Voorhees, is an irrepressible enthusiast. Wall of Sound: 1205 E. Pike St. (206-441-9880 or wosound.com). Avant-garde music is the specialty at this nicely-turned-out Capitol Hill store, originally opened 25 years ago by photographer Mark Sullo in a Belltown art bookstore. Jive Time Records: 3419 Fremont Ave. N. (206-632-5483 or jivetimerecords.com). 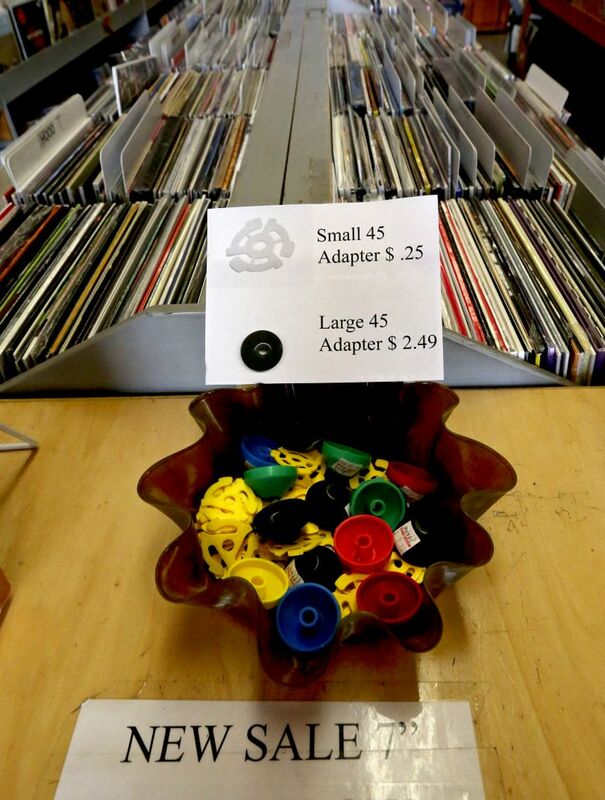 Size doesn’t matter at this tiny, carefully curated, mostly-vinyl boutique, where even the sidewalk bins can offer reasonably priced finds. Kitty-corner across the big Fremont intersection at 34th, a large basement store called Fremont Vintage Mall offers Jive Time’s clearance stock. Neptune Music Company: 4344 Brooklyn Ave. N.E. (206-632-0202). Beneath the Neptune Theatre, this surprisingly large store sells strictly vintage (plus tons of movies) and, sadly, is the only record store left in the U District. Strong jazz and classical sections and ample turnover of new arrivals. Golden Oldies Records: 201 N.E. 45th St. (206-547-2260 or goldenoldies-records.com). Dean Silverstone has been selling cardboard bins of 45s — that’s right, Elvis, Everly Brothers, Crickets, Beatles — since 1973 and was around when the Sonics were playing the first time around. Vintage Billboard charts remind you what to look for. Georgetown Records: 1201 S. Vale St. (206-762-5638 or georgetownrecords.net). Housed in the Fantagraphics book shop in Georgetown, this gem of a store is gallery handsome, with colored vinyl LPs hanging in the windows and graphic-novel panels on the walls. But of course it would be, since veteran gallery man Larry Reid runs the place, hosting hip readings and gatherings.